International School of Kenya was ranked 7th out of the top 100 best high schools in Africa by Africa Almanac in 2003, based upon quality of education, student engagement, strength and activities of alumni, school profile, internet and news visibility. 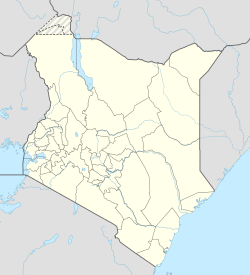 The school formed from the 210293 Nairobi International School (NIS), but financial troubles prompted the United States Embassy and Canadian High Commission to take over operations of the school in 1976, renaming it the International School of Kenya. ISK, as it is more commonly known, is divided into three schools: the Elementary School that teaches students from pre-kindergarten to grade 5, the Middle School, which teaches grades 6-8, and the High School that teaches grades 9-12. Each school has its own principal and counselor, and largely its own teaching staff, though some subject staff are shared. Teachers are predominantly from Canada, the United States, and the United Kingdom. Each school has classrooms and recreational areas, while the three schools share libraries, cafeteria, and facilities for sports and the arts. The Arts Center is acclaimed as the best theatre facility in Nairobi. The school has a gymnasium, heated outdoor swimming pool, and playing fields. In 2006, a construction project was started to expand the high school. It was completed in December 2007, and students were moved in the following month. School sports include basketball, cricket, football, tennis, volleyball, track and field, and swimming. Every year high school students participate in the international ISSEA tournaments for basketball, football, tennis and volleyball. The school is located on the outskirts of Nairobi at the end of Peponi Road and is surrounded by coffee plantations. The student body of over 950 represents some 65 different nationalities. Around a quarter are American, with Kenyan, British, Canadian, Swedish and Dutch nationalities following in representation. This page was last edited on 31 March 2019, at 02:19 (UTC).